AMD’s former superstar CPU architect and current head of AI hardware at Tesla is reportedly leaving the car maker to join Intel. Keller was the mastermind behind the most successful and competitive CPU microarchitectures in AMD’s history. He played key roles in developing the K7 and K8 CPU cores. K7 was the original Athlon, the first CPU to hit 1GHz and the first CPU to really stick in Intel’s craw. Athlon 64 was the first consumer x86 64bit CPU and a massive success for the company in the early to mid 2000s. In fact the K7 and K8 designs were so competitive, that it eventually allowed AMD to take nearly half of all x86 CPU share at its peak in 2005. Keller on the right. May 2014, AMD core innovation summit. 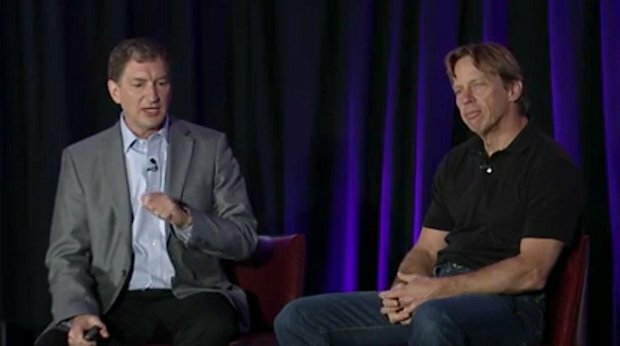 Keller spent a multi-year stint at Apple between his contributions to the K8 design and coming back to lead the engineering efforts on AMD’s latest CPU microarchitecture, Zen in 2012. At Apple he led the design team, to much success, to build the company’s class leading mobile processors. In 2015 he left AMD to join Tesla, where he’s been leading the company’s AI chip design teams to date. SANTA CLARA, Calif., April 26, 2018 – Intel today announced that Jim Keller will join Intel as a senior vice president. He will lead the company’s silicon engineering, which encompasses system-on-chip (SoC) development and integration. Keller brings to Intel more than 20 years of experience in x86 and ARM-based microarchitecture design across a broad range of platforms, including PCs, servers, mobile devices and cars. Keller, 59, joins Intel from Tesla, where he most recently served as vice president of Autopilot and Low Voltage Hardware. Prior to Tesla, he served as corporate vice president and chief cores architect at AMD, where he led the development of the Zen* architecture. Previously, Keller was vice president of Engineering and chief architect at P.A. Semi, which was acquired by Apple Inc. in 2008. He led Apple’s custom low-power mobile chip efforts with the original A4 processor that powered the iPhone 4*, as well as the subsequent A5 processor. He will officially start in his new role at Intel on April 30. 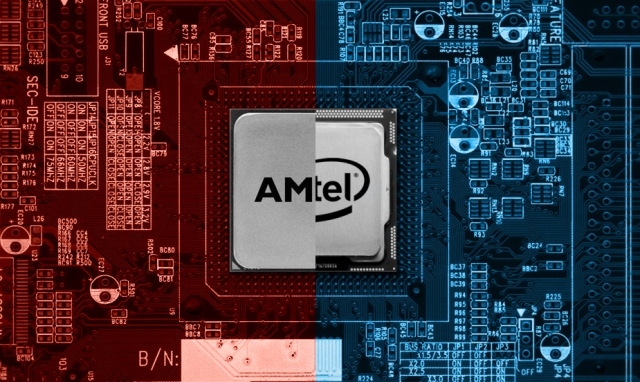 AMD’s resurgence in the PC space appears to have awoken a sleeping giant in Intel who had struggled to shy away from its iterative product policies where little innovation was allowed to bloom. This is all clearly changing in a huge way. Late last year the company poached AMD’s leading GPU man, Raja Koduri, who was the head of everything graphics related at the company’s Radeon Technologies Group. Raja is now tasked with developing high performance discrete graphics processors for the company to compete with NVIDIA and AMD. Earlier this month we heard that Intel had poached another talent from its smaller rival, in the PR and marketing department. And today we’re hearing that it has snagged Keller from Tesla. Intel already has some of the most talented people to begin with, and it’s piling on even more big names this year. It appears that a cultural shift is taking place at the company, one that promotes a much more healthy spirit for innovation and we can’t wait to see where it’ll take the GPU and CPU markets in a few years time.